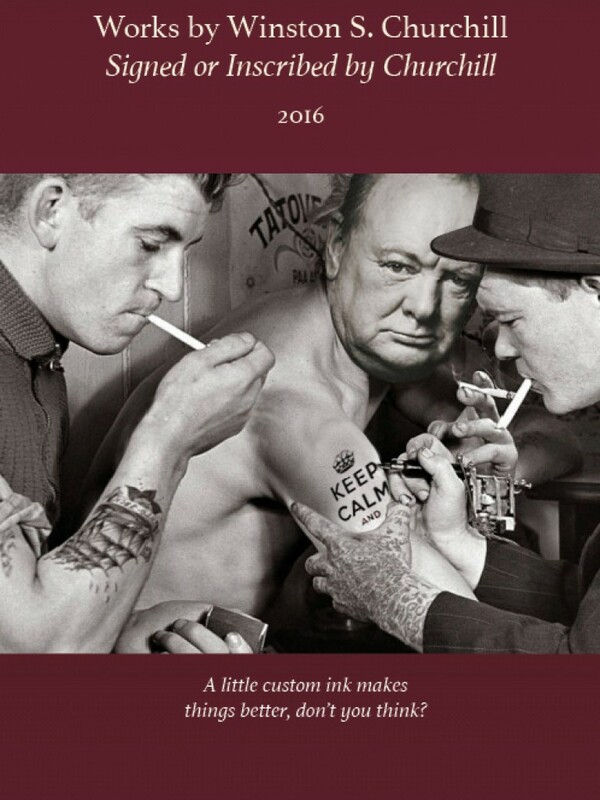 First, a downloadable version of our 2016 catalogue of Works by Winston S. Churchill Signed or Inscribed by Churchill is now available on our website. Click HERE or on the image below. 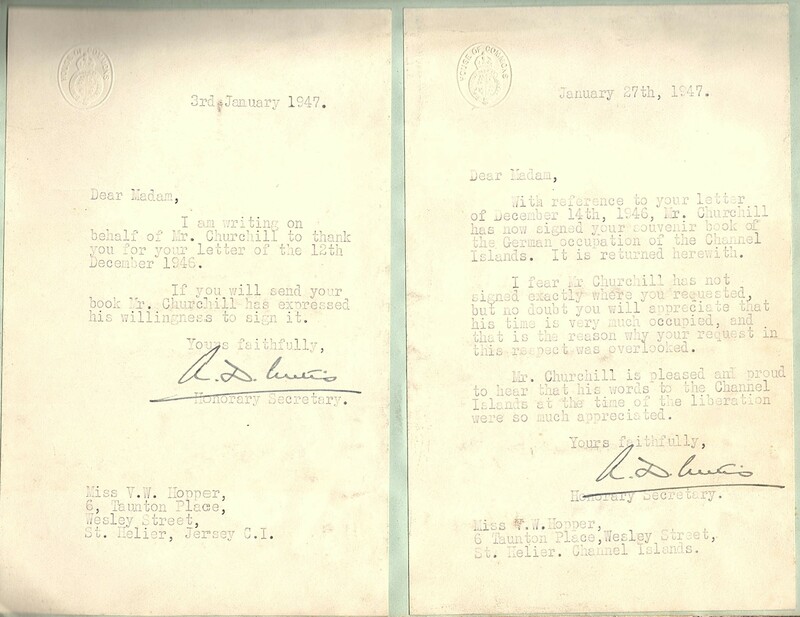 In our catalogue you will find 47 Churchill signatures spanning six decades of his life, from 1900 to 1959. You will also, we hope, find good reading in our detailed descriptions, profusely illustrated with full colo(u)r images. As the front cover indicates, we approach Churchill with our customary reverential irreverence – fully appreciating Churchill’s magnificence of spirit, of mind, and of will that both embraced and eclipsed his imperfections. 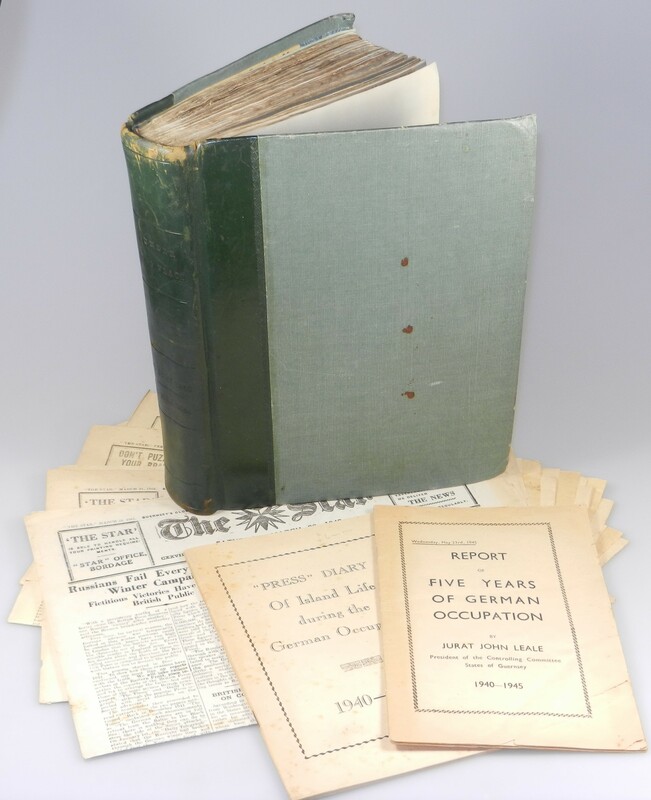 Churchill Book Collector will be at the Pasadena Convention Center on Friday February 12th, Saturday February 13th, and Sunday February 14th for the 49th California International Antiquarian Book Fair. This will be an impressive fair, exclusively featuring booksellers who are members of the Antiquarian Booksellers’ Association of America (ABAA) and the affiliated International League of Antiquarian Booksellers (ILAB). The ABAA is the oldest association of professional booksellers in America and includes some of the most distinguished names in the book trade. If you are able to come, please visit us in Booth #803. Unique is a bold word in book collecting. Many items are scarce, rare, or even extravagantly rare. Few are truly singular. 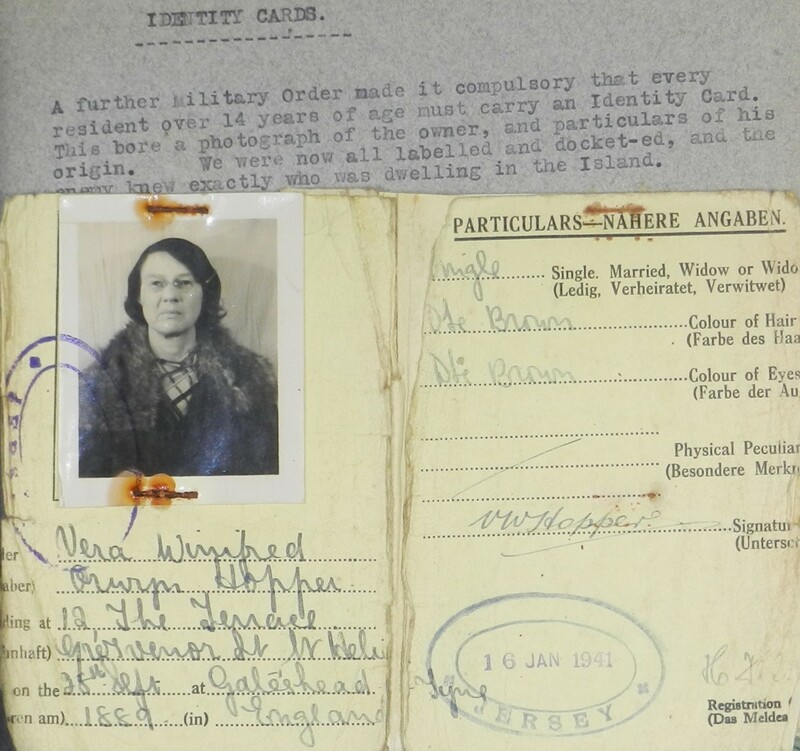 This particular item – a WWII archive of the Nazi occupation of Jersey – is genuinely unique, an intimate and intriguing piece of history. 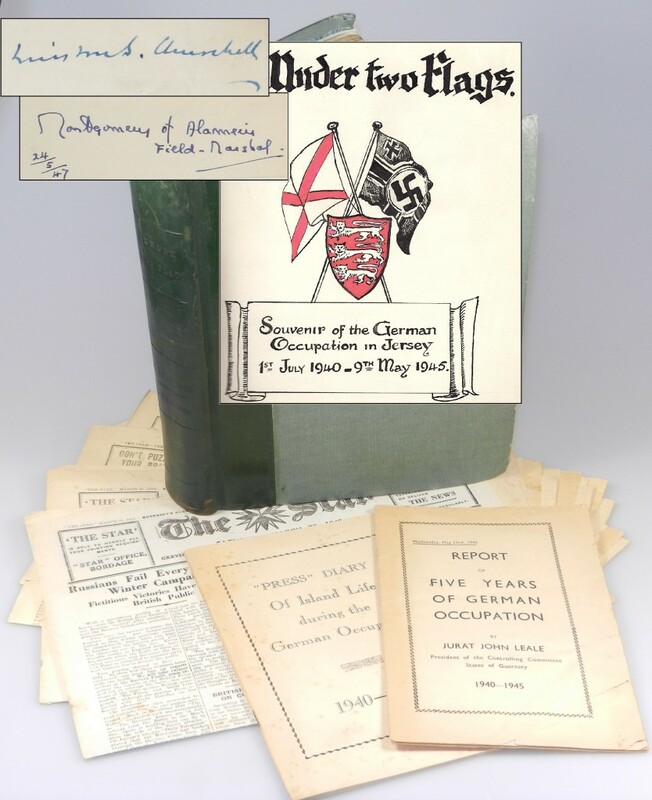 It was not published, but rather privately hand-compiled by a resident of Nazi-occupied Jersey and so is unequivocally the only copy. The Channel Islands were the only British territories to be occupied by the Germans during the Second World War, so this archive chronicles that occupation from the perspective of a British citizen of occupied Jersey living under half a decade of Nazi rule. 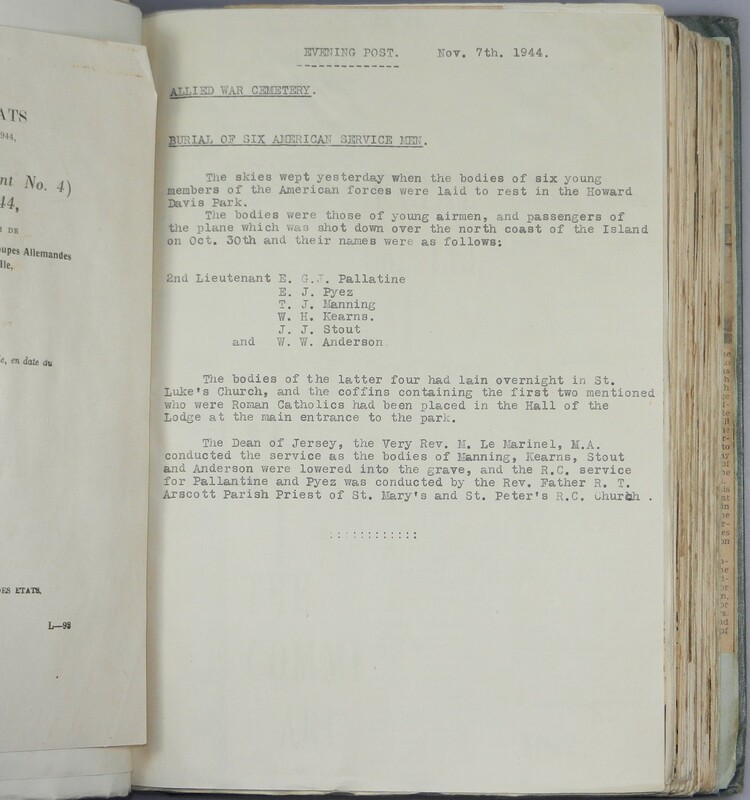 This archive is made further compelling by the fact that the compiler had it signed by both Churchill and Montgomery in the war’s aftermath. Churchill chose to sign at the beginning of the album, at the upper right corner of the message from the King announcing the strategic withdrawal from the Channel Islands that precipitated their Nazi occupation. 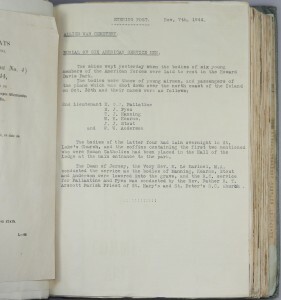 This was, of course, a decision Churchill made very early in his premiership, and for which he bore ultimate responsibility, so it is interesting that he chose to sign here – apparently a different spot from where the album’s compiler had requested he sign. Montgomery’s own signature in the album is dated 24 May 1947. 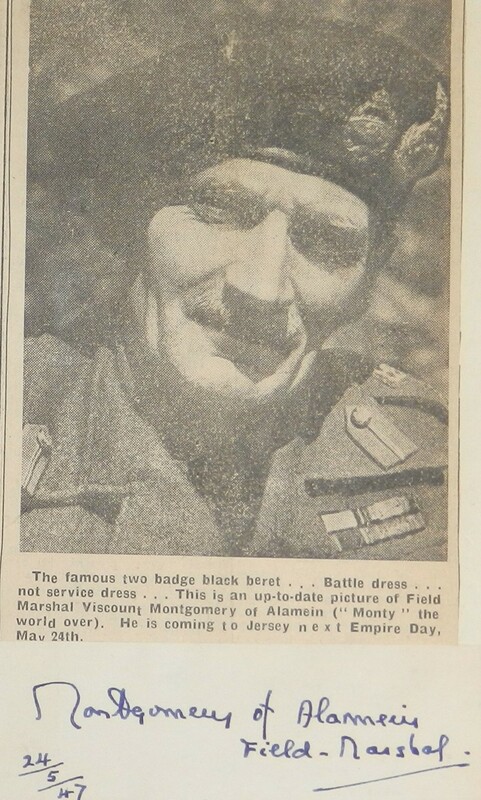 Montgomery visited Jersey in late May, evidenced by new clippings included in the album itself. The Channel Islands archipelago of British Crown Dependencies is located in the English Channel off the French coast of Normandy and is comprised of Jersey (the largest island), Guernsey, and a number of smaller islands. These islands were the only British territories to be occupied by the Germans during the Second World War. 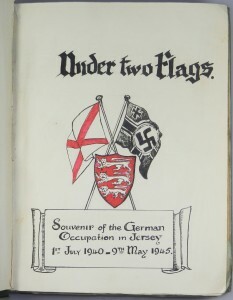 Jersey was occupied from 1 July 1940 to 9 May 1945. 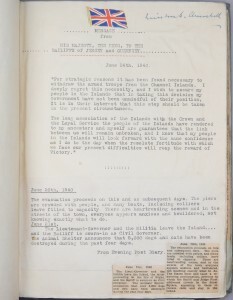 A 245-page album in its original quarter-leather over cloth binding measuring 10.75 x 8.25 x 2.25 inches and blind-stamped on the spine “Under Two Flags 1st July 1940 – 9th May 1945”. 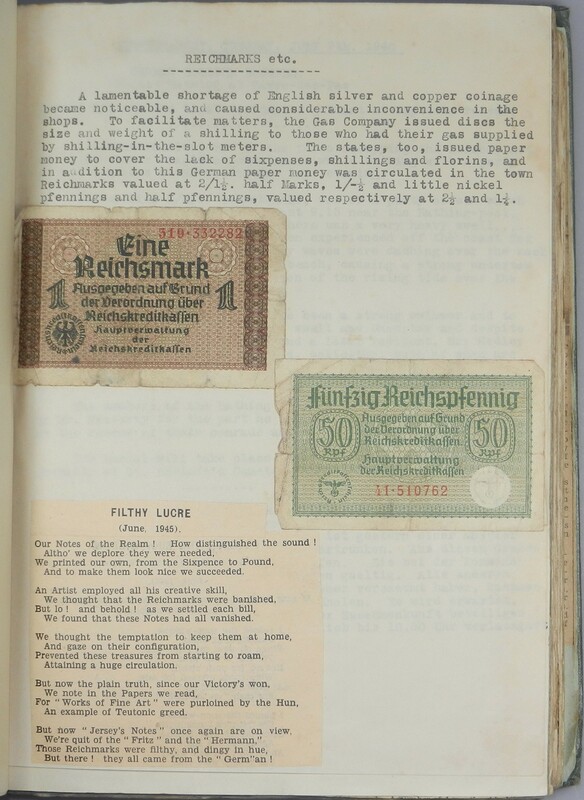 A 44-page wire-stitched newsprint pamphlet (no date or printer specified) titled “PRESS” DIARY of Island Life during the German Occupation 1940-1945. 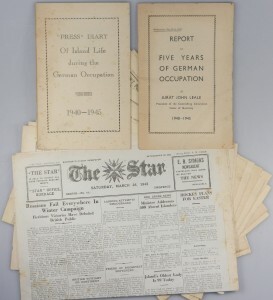 Seven original 1942 issues of Guernsey’s newspaper, The Star, spanning January 27 to March 28, published during German occupation and under German censorship. The album is, of course, the heart of this archive. It was compiled by Vera Winifred Orwyn Hopper (b. 1889), at the time of the German invasion an unmarried resident of St. Helier, Jersey’s capital. 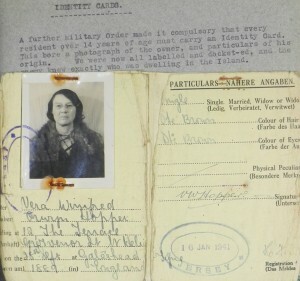 It is a remarkable piece of history, stuffed with wartime occupation artefacts including newspaper clippings from the Nazi-censored Channel Islands press, orders issued by occupying Nazi forces, stamps issued during the German occupation, German currency, Ms. Hopper’s German identity card, notes on hardships suffered, including clothing, food, health, and deportations of families to Germany, wartime correspondence, and accounts of postwar recovery. 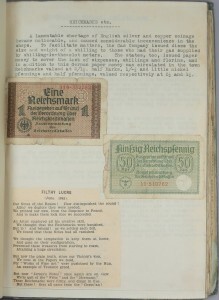 The documents within span June 1940 to September 1948. Once made, it was a decision to which Churchill steeled himself, refusing several suggestions throughout the war (from Stalin and Montgomery, among others) to devote precious military resources to retaking the strategically ancillary Channel Islands. The album is in very good condition overall, worn at extremities with some insect damage to the rear hinge and shaken, but obviously original and still intact, with contents that show little spotting or deterioration. 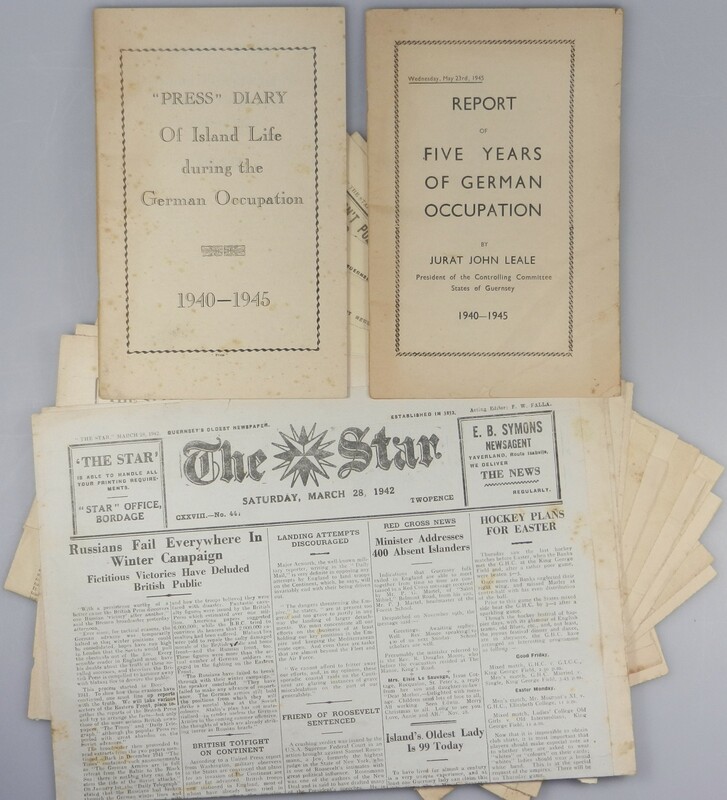 The accompanying Guernsey occupation newspapers and the two occupation pamphlets variously show age-toning and some spotting and wear endemic to the newsprint, but are nonetheless in sound condition, noteworthy given their age and perishability. It has truly been a pleasure to explore and write about this item. 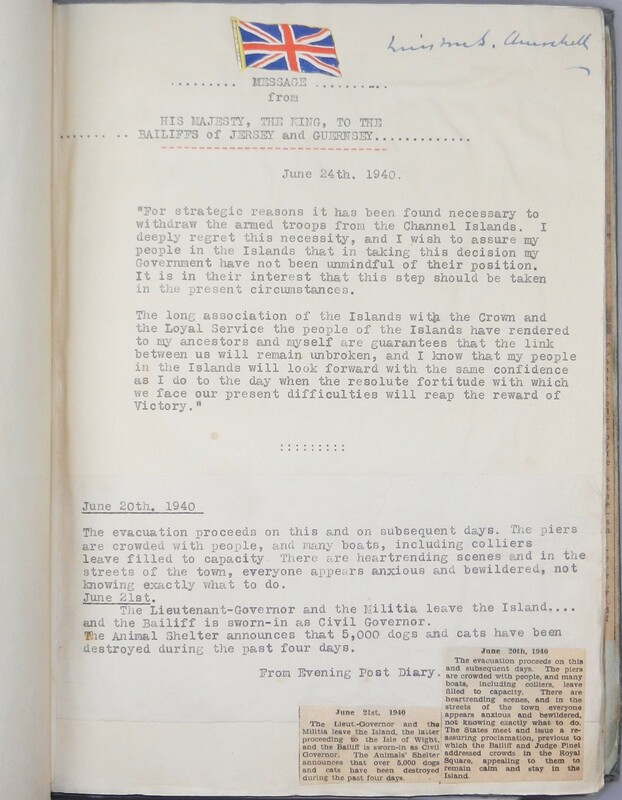 This archive will be offered in our forthcoming 2016 catalogue of items signed or inscribed by Churchill. We look forward to helping it find the library of a discerning collector or institution.